Passengers on a Boston-bound Amtrak train were stuck for six hours yesterday having only just left Penn Station. They had no reception and they had no power. And no power meant “unflushable” toilets. Amtrak, dauntless, had a compromise for its stalled passengers: taking a dump in a cardboard box. 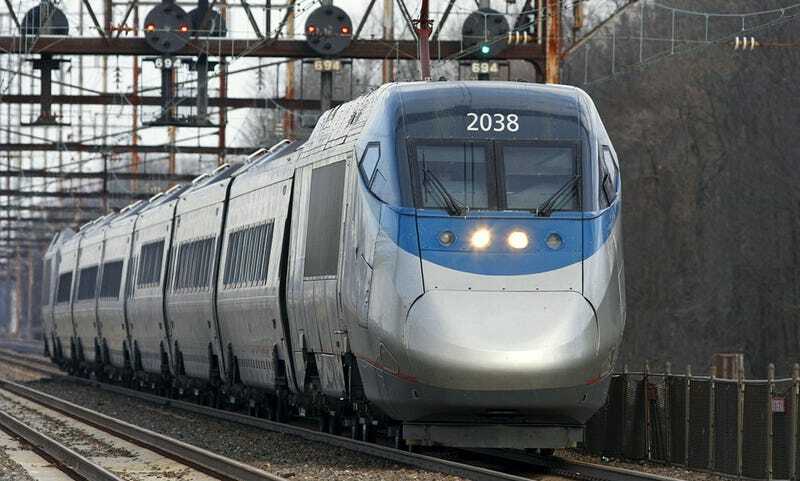 Apparently, conductors on the high-speed Acela kept passengers calm, according to a report from Boston’s local WBZ-TV. Train 2230 was hot, it was stuffy, the toilets were unflushable, there were probably horrific smells, but its passengers never seemed to have lost their humanity. I mean, unless you consider resorting to defecating in a cardboard box a mark of civilization. I guess I’m just happy it wasn’t the floor. Passenger Beth Jacobson said there was an unpleasant solution to the toilet situation. “What the stewardesses ended up doing was making a porta-potty out of a cardboard box,” she said. Ah, yes. A cardboard porta-potty. I’ve been on a long-distance train that lost all air-conditioning in the middle of the summer. I was ready to go Lord of the Flies on everyone around me and all that was going wrong was that my otherwise-fine and on time trip was slightly stuffier than I would have liked. How these Acela riders didn’t start an open revolt I do not know. The train was principally carrying people home to Boston, according to WBZ-TV, which makes me wonder how you all are living up there if you’re cool calm and collected when Amtrak comes around with a makeshift poop box.